Plantains are not that commonplace. So you can imagine my joy whenever I spot them, like in a supermarket the other day. Given our proximity to South America where plantains are an integral part of the diet, am not fully surprised at how easy it is to find really ripe plantains in almost any supermarket here. That makes me a happy camper. 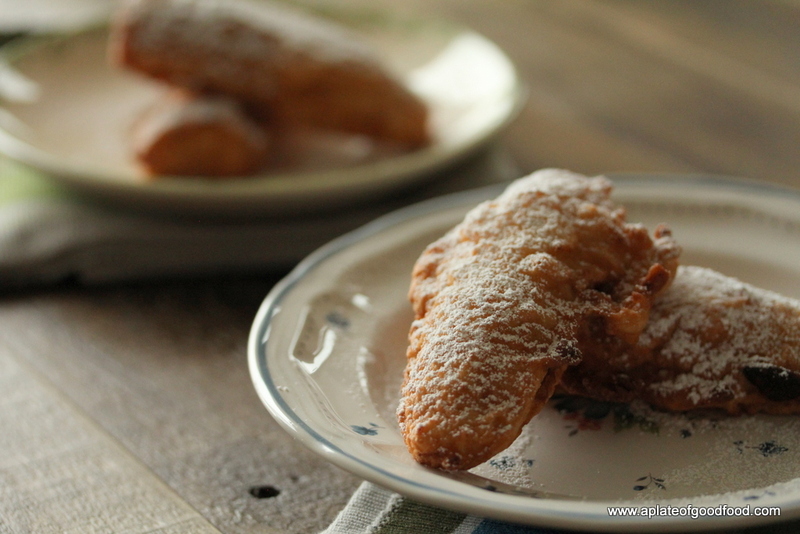 These fritters can be as easily made with ordinary large bananas. 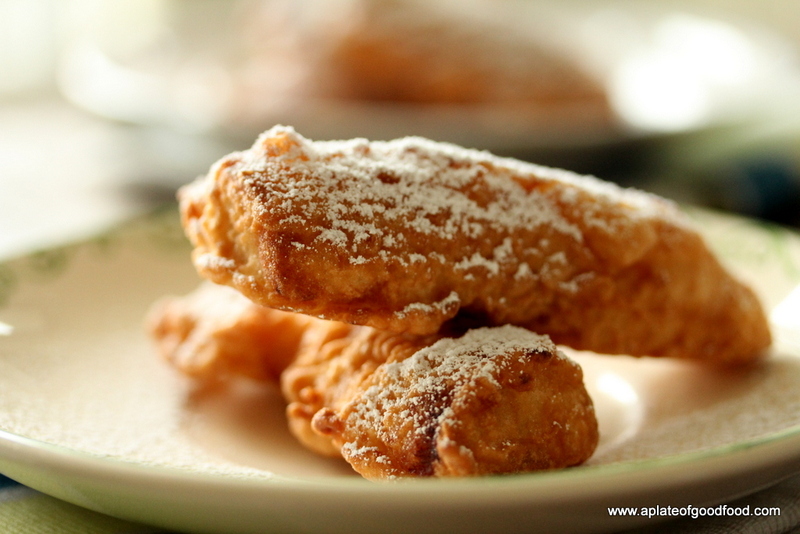 Although not part of the traditional recipe, I added some dessicated coconut to the batter to give it a crunch. 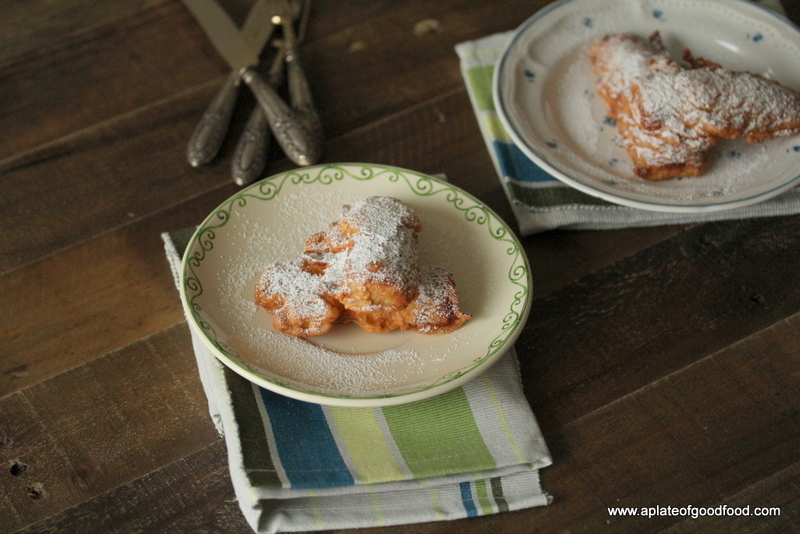 The one thing I forgot to add was some baking soda in spite of which the fritters tasted great. However, if you’d like the batter to be a bit lighter, you may add half a teaspoon of baking soda to the mix. 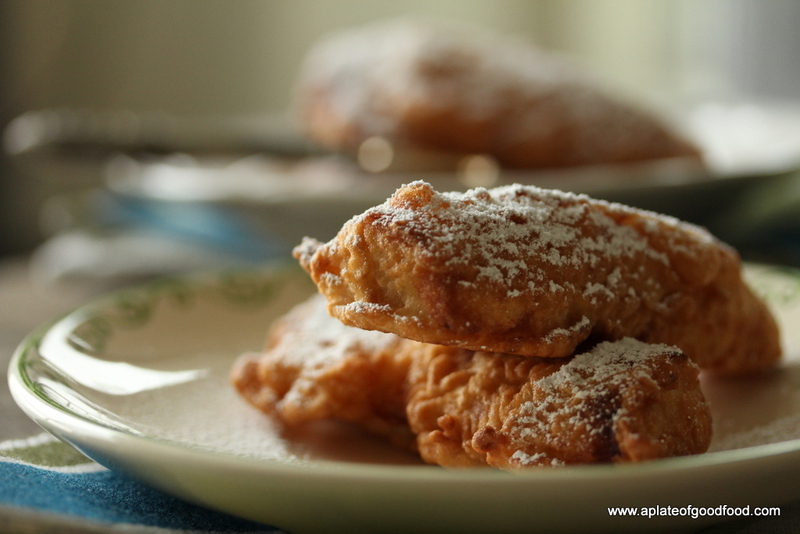 You can serve these as a mid day snack or better still, accompanied with some nice vanilla icecream and/or a drizzle of chocolate sauce, as an easy dessert at the end of an Indian meal. Either way, it is a warming dish and it will always remain dear to me. In a large mixing bowl, mix together the rice flour, plain flour, dessicated coconut and salt. Add enough water, about 250ml or 1 cup water, to make a batter. It should not be too thick or thin, imagine the consistency of pancake batter. 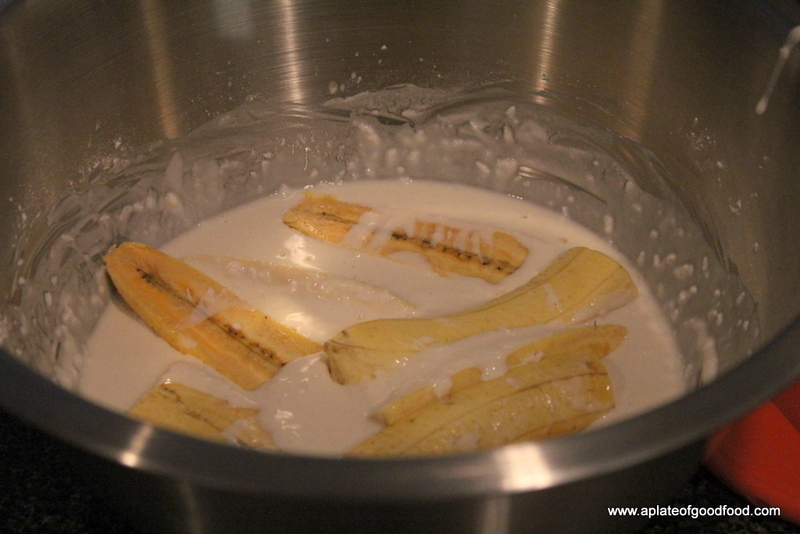 Add the plantain slices to the batter. Heat the oil in a large wok or heavy bottomed deep pan. 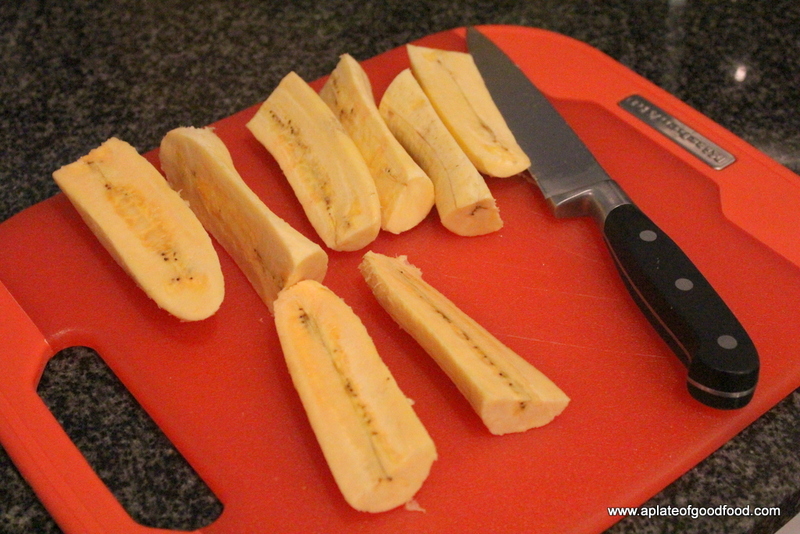 Once hot enough, drop each well coated slice of plantain into the oil, taking care not to splatter. You may add as many pieces as your pan can comfortably hold without overcrowding. 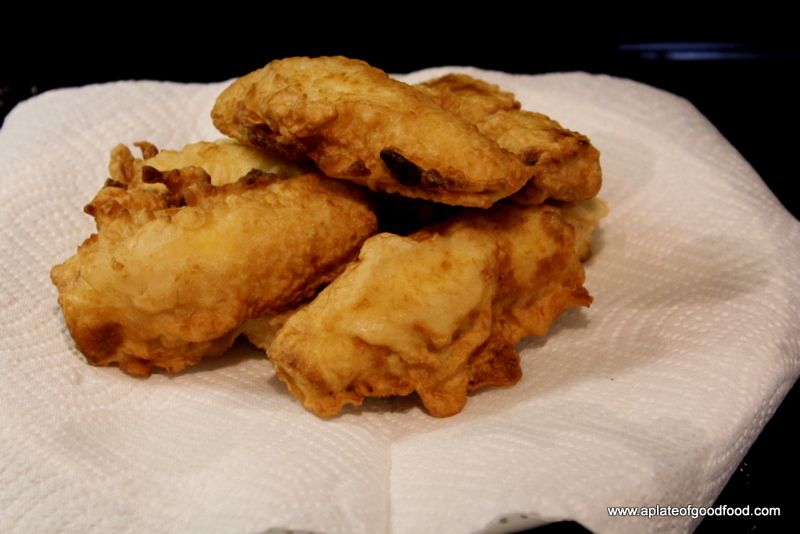 Fry the fritters on both sides until golden brown, remove from oil with a slotted spoon and set aside on a plate lined with kitchen towels. 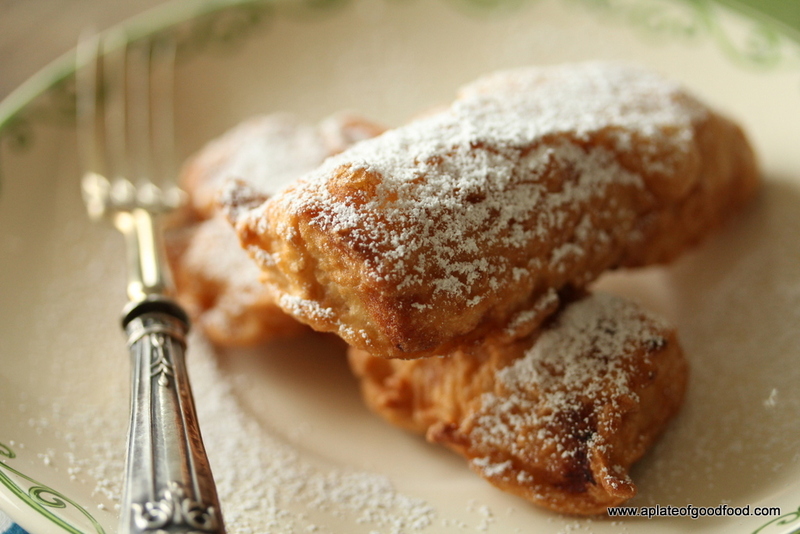 These are best served warm with a light dusting of icing sugar on top. A delightful dish that cannot be any easier to whip up in a jiffy.